A glacier collapse sent a large wave towards the shores of Iceland on Sunday, March 31. The Breiðamerkurjökull glacier is part of Jökulsárlón, a glacial lagoon in southeast Iceland. Glacier calving is a natural process consisting of the breaking of ice chunks from the edge of a glacier. But mountain guide Stephan Mantler, who captured the phenomenon on camera said: “This was an extraordinarily large calving and much closer to the shore than usual, which is why it was such a close call". 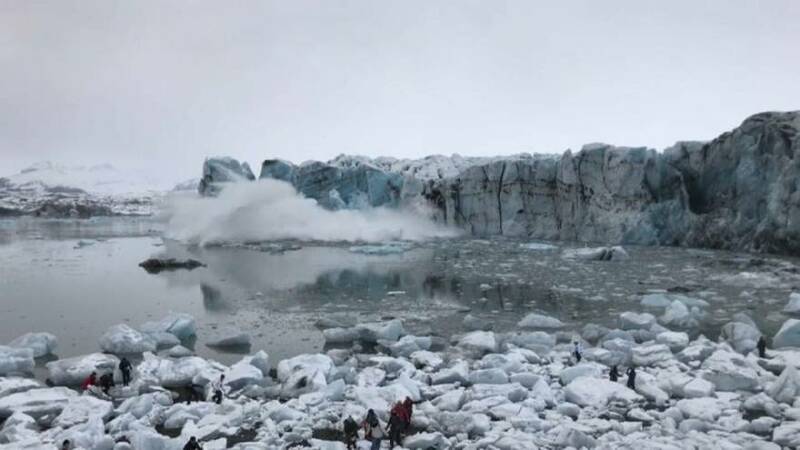 Mantler was guiding a group visiting the glacier, when the collapse occurred, and said visitors were instructed to leave the beach and search for higher ground. No one was reported injured.